My maps are all red? Orange? Purple? This is caused by the Terrain Overlay. In Plan Mode, your map will be tinted to show terrain based on your highest planned cruise altitude (if you haven’t set an altitude, everything will be tinted red). In Fly Mode, the map is tinted according to your current GPS altitude. Terrain within 1500′ to 500′ will be tinted yellow, whereas terrain 501′ to above will be tinted red. Tap En Route to view your map. An example of the Terrain Overlay in action while set to Plan mode and a cruise height selected in the flight plan. This is caused by a SIGMET that is current over your viewing area that may have not been active the last time you viewed it. 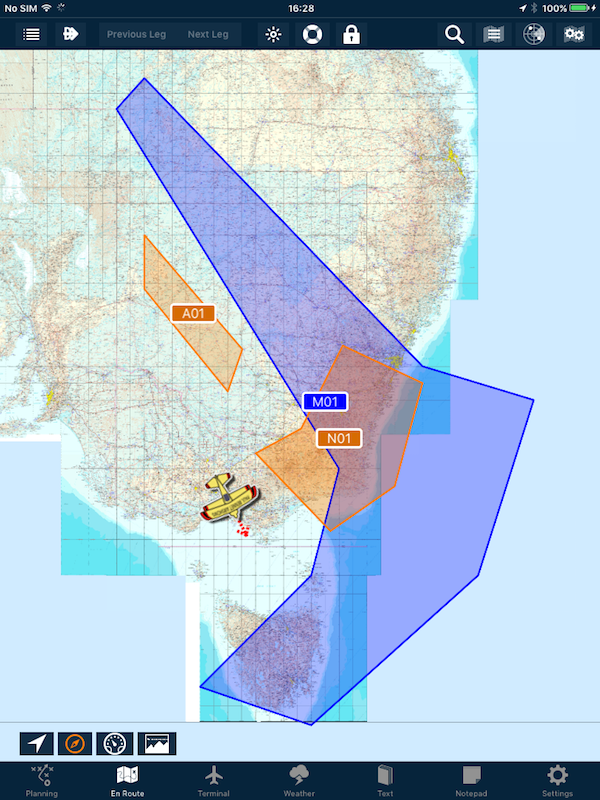 Above is an example of AIRMETs and Severe Turbulence SIGMETs over USA, below is an example of Severe Icing and Severe Turbulence SIGMETs over Australia. How do I access the new Australian weather forecasts? 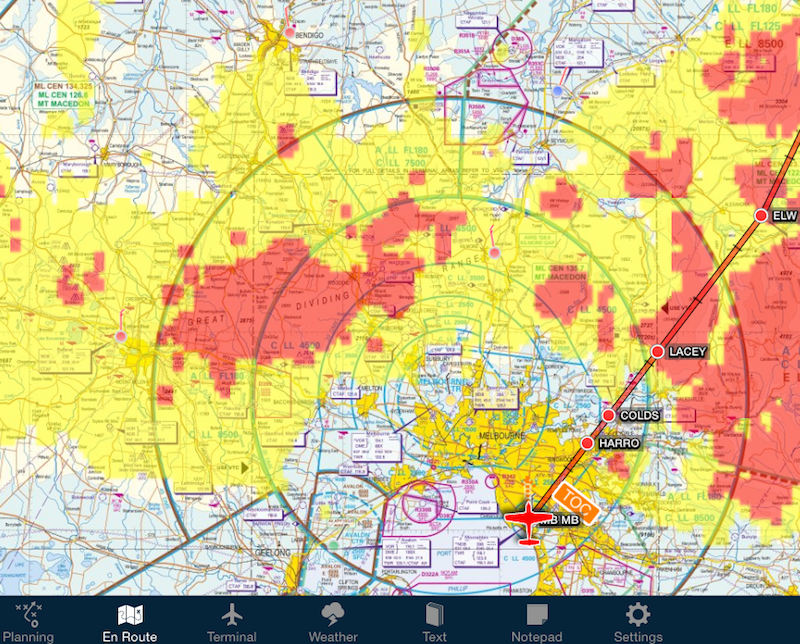 What iPad is best for AvPlan EFB? How do I check the version of AvPlan EFB I'm running? How do I access ERSA (FAC) pages? I have strange lines on my maps/plates. How do I clear them? How do I view my track flown after the flight? I'm receiving Flight Plan Messages, but I didn't submit a plan.